Durham's Professional Texture Removal Contractor Drywall Specialist. removes acoustic / popcorn ceiling texture and skim coats your ceiling to a smooth level 5 finish. Affordable prices and free estimates, large or small jobs by a local pro in Durham, North Carolina. 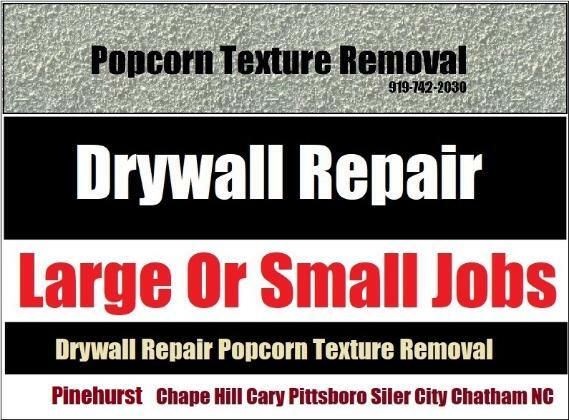 Drywall Specialist: Copyright 2017 All Rights Reserved 919-742-2030 Professional Texture Removal Acoustic Popcorn Pro Durham NC.